If you are looking for electric gates, retractable security bollards or rising arm barriers then get in touch with the North East’s premier perimeter security company. Automation & Security have been providing security solutions for over 20 years and work with leading manufacturers. Automation & Security handle every aspect from delivery, supply, installation and maintenance. 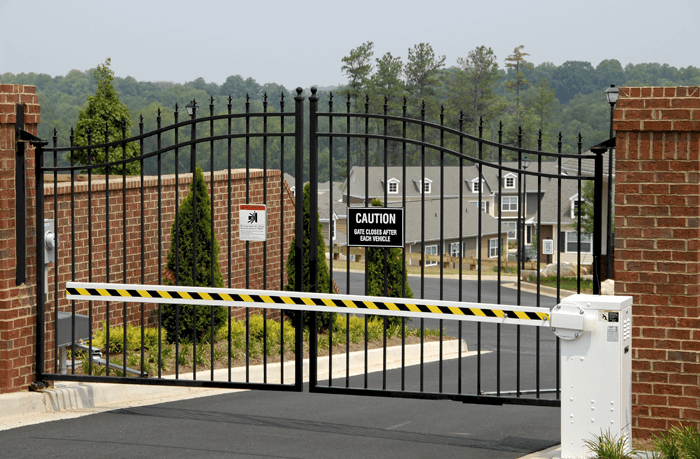 Whether it’s electric sliding gates, gate automation, cantilever gates or swing gates backed up with a with a range of options including gate operators and motors. Arm barriers can help manage traffic flow and stop “unauthorised access”. These come in either manual or automation solutions. Their range of bollards are great in areas such as golf clubs, exhibition centres and hotels and can be either static or retractable to allow access to emergency vehicles and to keep the aesthetics of the property intact. Their range of electric gates and barriers can have added access control to restrict access to the premises in Chester Le Street. These can be linked into your existing employee database which can only be accessed via a key fob or card. If you are after the latest in security technology biometrics scanners can added an extra layer to your security. If you are looking for a higher impact security solution they recommend their range of high impact PAS68 gates, barriers and bollards. These can withstand impact from ram raid at even high speeds. If you are looking for protection from the recent floods, then their range of flood defence gates will help keep the water at bay.